← How The Internet Can Make Your Kids Brighter & Smarter? How to Avoid Student Debt with Online Education? The cost of university degrees are increasing rapidly every year. 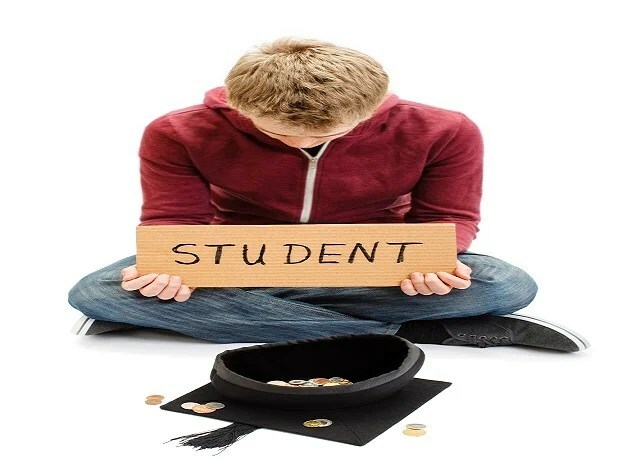 If you are set to attend college then be prepared to get burdened by a heavy student debt. Currently getting education loans have become very challenging with more stringent rules and restrictions. It has been found that most students in the US have an average debt of $25,000 by the time they graduate. Other reports reveal that around 90% of all graduates are compelled to live with their parents even after completing their graduation, due to the burden of debts. Does this mean that you will have to take a huge loan to complete your graduation? Is there any way to avoid heavy student debts and still pursue higher education? Yes. There is a way to avoid student debt. Read on to find out…. According to a report in The Huffington Post, this noticeable gap in the net worth reveals that graduates with student debt are behind almost 10 years in accumulating wealth. Unlike their debt-free classmates, these graduates are unable to make wealth by making purchases like car or house, or through stock investments and savings. Thus they are taking more time to reach the level of the students who are not burdened with debt or those who have pursued undergraduate diploma online. So can you avoid being shackled by debt and still manage to get a degree/diploma? Is it even possible to become a graduate without spending a fortune in tuition fees? Yes. It is possible. It’s called Online Education!! You can easily pursue a wide range online undergraduate coursesand postgraduate courses at affordable and competitive prices simply by getting enrolled into an accredited online programme. Online institutes have made major progress in disassembling this expensive trend so that you don’t have to get saddled by debt for years. But why should you study online? How can it be financially beneficial for you? Most of the recognised online institutes not only offer competitive and affordable pricing, but they also offer different types financial aids for their students. The schools tend to guide the students through the application procedure so that you can avail financial assistance easily. When you pursue a degree from a traditional college, you have to incur various additional costs like daily conveyance, accommodation and even living expenses if your college is in another city or country. But as online undergraduate courses and postgraduate courses are extremely flexible, you will end up saving thousands of dollars. You can complete your entire course from anywhere you like, as long as you have a laptop and a reliable internet connection. One of the greatest advantages of pursuing a degree online is that you will have the opportunity to gain relevant work experience and earn money, instead of spending it. As online programmes are flexible, you will be able to pursue your studies and do a full time job at the same time. But will you get quality education from online programmes? If you think that just because online courses are cheaper than traditional courses, they will be inferior, then you couldn’t be more wrong. The fact is online institutes offer high quality education which is at par, if not better, than brick-and-mortar colleges. Most of the online programmes are accredited and are designed by renowned professors from reputed colleges and universities worldwide. The decision is mainly up to you. You can either choose to pursue a higher education degree from a traditional college and end up being burdened by a heavy debt or you can choose to go online and earn a debt-free accredited degree/diploma from a renowned online college. As online qualifications are recognised and accepted by employers worldwide, you will have no difficulty in building a great career and increase your average net worth. This entry was posted in Education, online education and tagged level 5 diploma, net worth, online diploma, Online education, Online learning, Pew Research Center, Richard Fry, student debt, student loan, Undergraduate Diploma. Bookmark the permalink. 1 Response to How to Avoid Student Debt with Online Education?